Being a new mum comes with a plethora of positives, especially the newborn cuddles, but it can be one of the hardest times in a woman’s life. Social isolation is a major hurdle that new mums need to address and the answer often lies in making friends with other mums. But this is easier said than done. And here’s why. We recently explored the seven mummy friends that we all need in our lives and so many of you responded with your own experiences of how making mummy friends is not always easy. Some people are lucky enough to have friends, sisters and cousins from their childhood who have followed the same path as them and have children around the same age. Others, however, do not. Whether you have moved to a new town, are the only one of your friends with children or are having trouble connecting to the other mums around you, then, please, know that you are not alone. Mummy isolation is a very real and very normal thing. According to a recent study, 87 per cent of modern day mums experience feelings of isolation, with 36 per cent feeling isolated on most days. This rises to 55 per cent amongst mothers who are not married. While most new mums (42 per cent) find the most support from their own mothers, new mums also admit that friendships play a critical role in day-to-day support. Existing friends who are also mothers come immediately second in importance (39 per cent) and fellow mums who have become new friends since becoming a mother (24 per cent) are other trusted sources. Aside from this unrealistic expectation mums project on themselves, the opportunities to socialise when you are a new mum are barely existent. There are no work functions; there are rarely any girls’ nights out or impromptu late night dinners; there may still be parties to attend, but you will most likely only be there for an hour or two before it’s time to get baby back home. 55 per cent of new mums mourned the loss of this pre-baby social life. Facebook groups in your area can provide a good place to start your search for new friends; however, it’s important to still get out of the house and plan functions. Attend local activities – library story-times, park days, playgroups, swimming lessons, Gymbaroo. There’s even an app you can use to help meet other mums with children of a similar age in your area. Being a new mum is stressful on so many levels and, after being up all night with baby, the last thing you may want to do is go to the park and socialise with people you may or may not connect to apart from the fact that you both have kids. It’s difficult to put yourself out there when you are feeling the most vulnerable. But, just remember, you are not alone. And more often than not, the other mums at the park are also hiding huge bags under their sunglasses, are still wearing the bra from yesterday and are surviving on one too many cups of coffee as well. 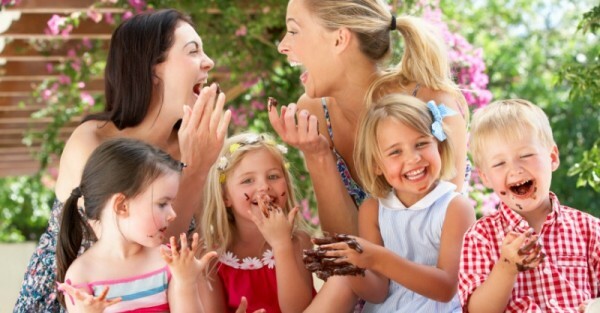 What are your tips for making new mum friends?